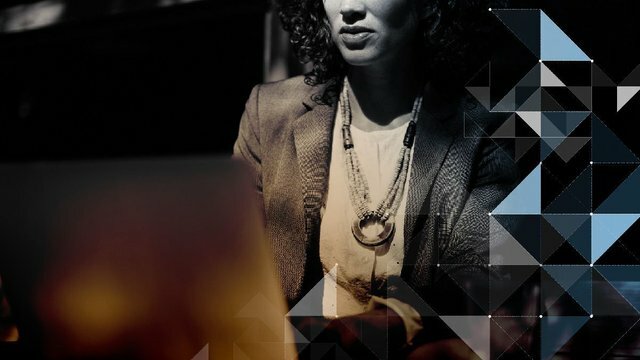 In the blockchain space, it's no big surprise that the field is dominated by men, but women are playing key, leadership roles in this new digital frontier in technology, business, finance, and cryptocurrency. In this series, I want to highlight these ladies who are paving the way for next generation business, inspiring girls to embrace their inner geek, and empowering women to take an active role in these amazing times. Now, it might surprise a lot of people when it's been reported that in 2018, women controlled about $40 trillion in global consumer spending so it stands to reason that the development, adoption, and mainstreaming of blockchain technology which affects consumerism and money management should have a woman's touch on it. Let's get some insight into three women who are leading the blockchain space: Meltem Demirors, Tavonia Evans, and Jessica VerSteeg. Visit her website and you'll clearly see "Making Benevolent Michief" in the hero section. 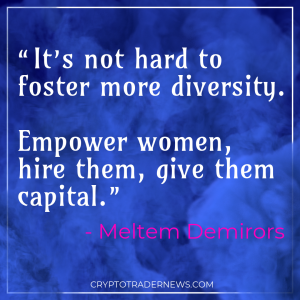 Chief Strategy Officer of CoinShares and former VP of development at Digital Currency Group, Meltem Demirors has been a leader, advisor, and advocate for cryptocurrency and blockchain projects. Her mission to spread the good things about crypto stems from the idea of "how do we capture hearts and minds" of people while healing the trust of retailers and investors who got burned in the past. In an interview, she talked about her experience as a student at MIT. "I never really thought about the relationship between money, power, politics and society structure, so that's where I was becoming aware of what was happening in the world and the implications of changing the structure of how money works." Ms. Demirors speaks plainly about her thoughts on the direction of blockchain and cryptocurrency. 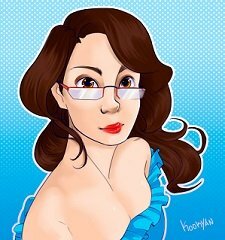 Having been in and around the cryptosphere, she cuts through hype and advocates for transparency. She invests in and advises cryptocurrency and blockchain startups, and advocates for industry initiatives focused on market infrastructure and portfolio management practices. "It's not hard to foster more diversity. Empower women, hire them, give them capital." Dubbing herself a data nerd and "mompreneur" with approximately 20 years in technology, Tavonia Evans dove headlong into cryptocurrency when she realized that it could be a tool to stimulate economic growth by launching $GUAP to recycle wealth within the black community. As the founder and lead engineer of this coin, Ms. Evans specifically designed to serve black consumers and reward their spending behaviors in black-owned businesses, thus circulating and strengthening those communities and nurturing healthy habits within the economic ecosystem. Tavonia Evans is building a legacy and wants the younger generation to understand that leveraging this technology and supporting one another is what will make future generations thrive. "They're going create a whole new financial system." A blockchain solution for the cannabis industry, Jessica VerSteeg, CEO of ParagonCoin had a longtime interest in cryptocurrency, but launching her own blockchain happened almost on accident. As she researched the cannabis industry, she saw that there were major holes of information within the marijuana supply chain and green zone restrictions. Her vision was to have multiple layers to encompass a whole ecosystem. From launching a crypto token, to being an immutable database for the cannabis industry, to creating safe spaces for people in the cannabis industry, Ms. VerSteeg has been a leader in educating people on the benefits of cannabis as a viable and safe option over opioids. The blockchain has a plethora of information which encourages transparency for growers, dispensaries, and cannabis users. She prides herself on the fact that there is so much more transparency than any big pharma would ever offer. From being a model, a contestant on The Amazing Race, and Miss Iowa beauty queen, Jessica VerSteeg has overcome the stereotype to prove that beauty and brains can coincide. You have 30 votes. Make them count. Very interesting and informative! I'm happy to see anyone do well for themselves and create their own future. It's true that men are more represented in blockchain as they often are in tech fields, but everyone of any gender should have the opportunity to choose what they want to work at, and I welcome the women here! When researching for women on the blockchain I was pleasantly surprised to see so many in leadership roles. It's really inspiring and motivates me to dive deeper to understand more. I'll never understand the math, but I have much better understanding of how things work especially since being a part of the Steemit community for almost three years! Can you believe that I'm working on a whitepaper for my own blockchain project? It's really exciting times. Yeah, definitely. It's a project that's near and dear to my heart.